Khin Aye Nu (Nu) is a Karen girl born in the Mon State of Myanmar. After a difficult childhood, Nu was denied the opportunity to study at school. At the age of 15, she fled to Thailand through a human trafficking agency in 2007. Settling in Bangkok, she began working in an electronic factory, but her compensation was seized by her agent. 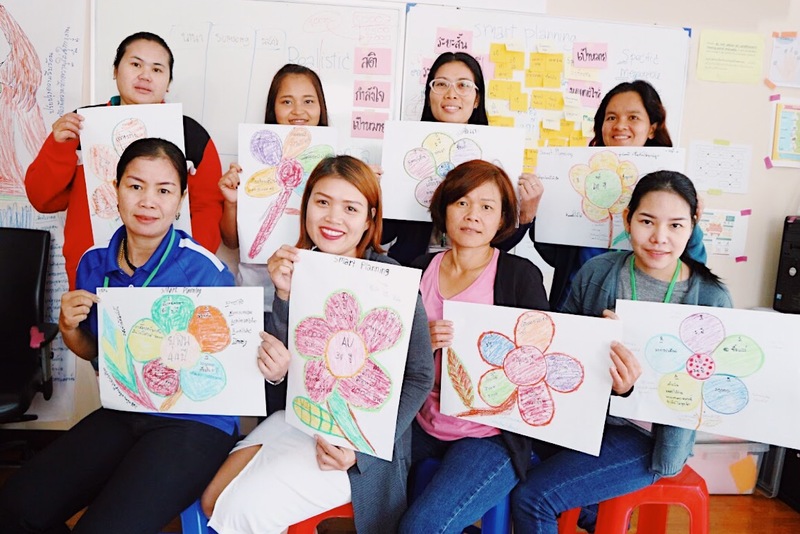 After fleeing in and out of various odd jobs, she found solace in the Myanmar Labour Help Centre in Bangkok, receiving training on how to be a professional domestic helper. Before “Better Me,” Nu was shy and had limited Thai language skills. She called her past-self a “fool,” as she was incredibly gullible, even tricked by a man because she believed his tales of hardship. 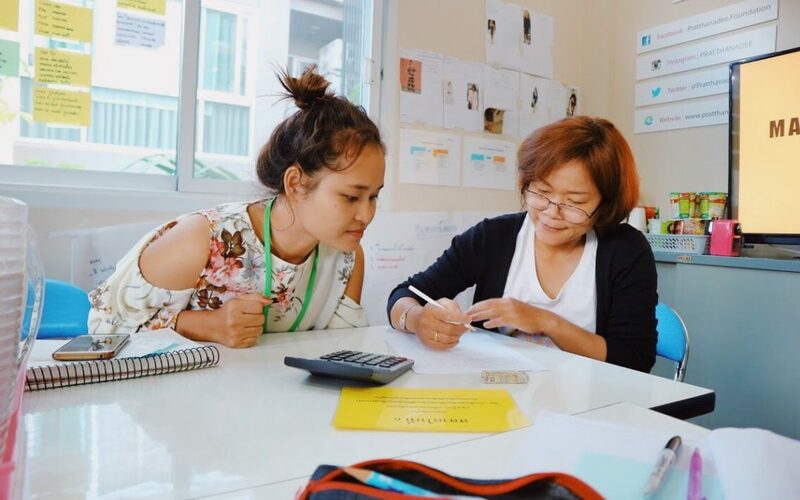 After completing the programme, Nu has gained a new sense of self-confidence and has improved her English and Thai language skills. She sees herself as a much more developed human, with a more complex understanding of how the world operates. The most significant skill she gained from “Better Me” was confidence, declaring that she’s “become bolder and would readily express my opinions and share my aspirations, especially with my peers working in Thailand.” Also improving upon her language skills, Nu can now speak and write in Thai, as well as understand English conversations. After completion of the programme, she expressed gratitude to her teachers and considers herself fortunate to have studied at Pratthanadee Foundation. Nu is now self-sufficient and has left the exploitative grasp of agents. Previously, she would send her earnings back home and leave little for herself. Realizing that she would not receive money in return if she herself were unwell, she opened a savings account for her use only. She has plans to start a business once her savings reach 200,000 Thai baht, hoping to establish her own hair salon or a small coffee shop in Myanmar. Pratthanadee Foundation would like to express its gratitude to the Embassy of Canada for its multi-year 667,700 Thai Baht donation via Canada Fund for Local initiatives. This donation has enabled us to expand “Better Me” in Bangkok and Ubon Ratchathani. Your support is helping women like Kratae begin her journey to security and prosperity. To find out how to take part in “Better Me,” click here. To find out how to set up recurring donations to support women and girls like Nu, click here.